Having to unlock your car door in a parking spot with bad lighting, or the door to your house, or having to search for something that you have dropped in the dark, is something that can become an unpleasant experience very fast. Especially the dropped in the dark situation, be it on the outside, a dropped car key or door key for instance, or while you are in bed trying to find that last piece of sandwich or cookie that you dropped there, can be problematic without proper light source. A flashlight would be handy, but who has a flashlight nearby in situations where one is needed? I do not. What I do carry around at all times and have even in reach when in bed is my mobile phone. Before you say that I'm addicted to the phone and all, I have to say that I need it in reach as I'm receiving server down and "there is a problem with your website" SMS messages and sometimes even phone calls on it. Tiny Flashlight is an application for Google Android devices that can turn your phone into a flashlight that is usually bright enough to produce enough light in situations where it is needed. While it is excellent for finding locks and dropped items, it can also be used in other situations from letting others know where you are to morse code or reading in the dark. Here is how it works. You install the app on your phone or tablet and start it afterwards. It displays a big power button that, when activated, turns on the camera LED flashlight to use it as a light source. This works only on devices that have a LED flashlight, like my Samsung Galaxy Note 2. If your device does not have that, you can still use the application as it also can use the screen of the phone instead for light. The application comes with a set of different lighting profiles that you can enable that serve different purposes. It takes two clicks to activate another lighting profile and depending on its functionality, it either makes use of the LED flash or the screen itself. The warning light, depicted by the ample on the screen above, uses the front screen for instance to alternate between two red lights that aim to warn others, while the strobe light uses the LED flash instead for its functionality. 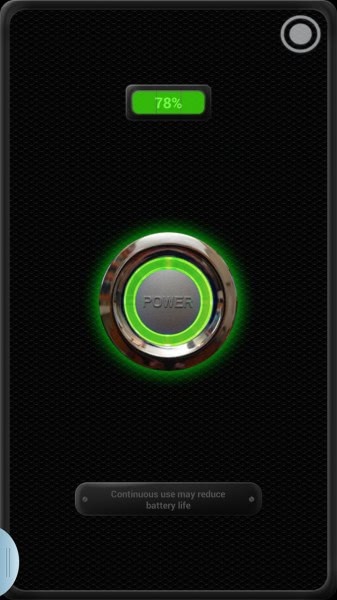 It needs to be mentioned that turning on the light using one of the widgets will drain the battery faster, but it is obviously better to use the light in situations where you need to than to worry about the draining of your phone's battery. 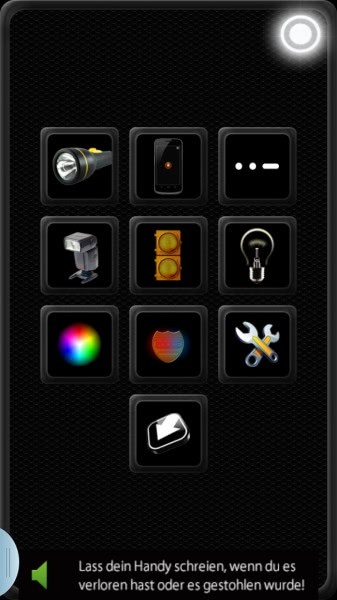 Tiny Flashlight is a free application for Android devices that you can download and install from Google's Play store. The application displays a single ad banner at the bottom of the screen when run. On the Galaxy S3, and probably others there is a default widget for this. Works great. Maybe on your S3, not on mine. It’s on mine too. It’s called “Assistive light”. I have one of these flashlight apps installed but this one looks better, so will try it. I like the Morse code support mentioned. Just in case I am ever stuck in the back country and need to be rescued! This is the app I’ve been using for about a year now. The widget is a one-touch on/off. Very convenient. The strobes and other lights are very bright and clear, too. Hey man where can i know the result of your giveaway. If you win, you’ll get an email. One of the first apps I downloaded when I got my new phone! !